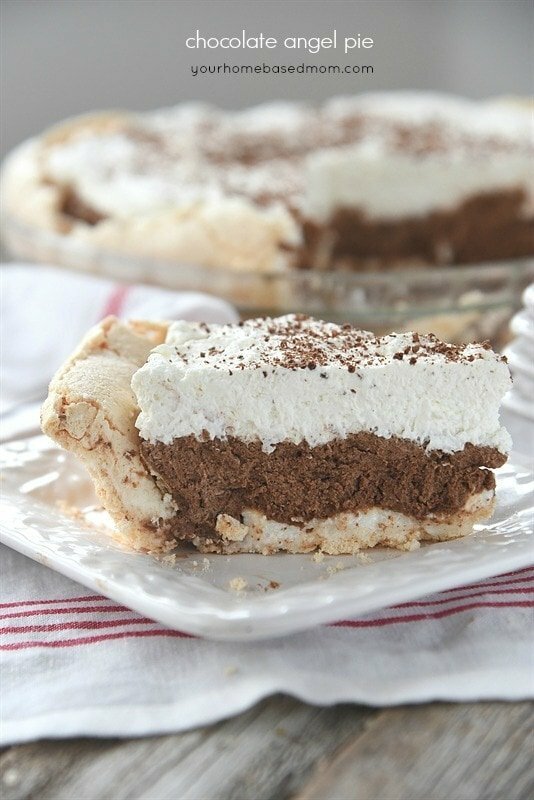 Chocolate Angel Pie has a meringue crust filled with chocolate cream and topped with a whipped cream cloud. 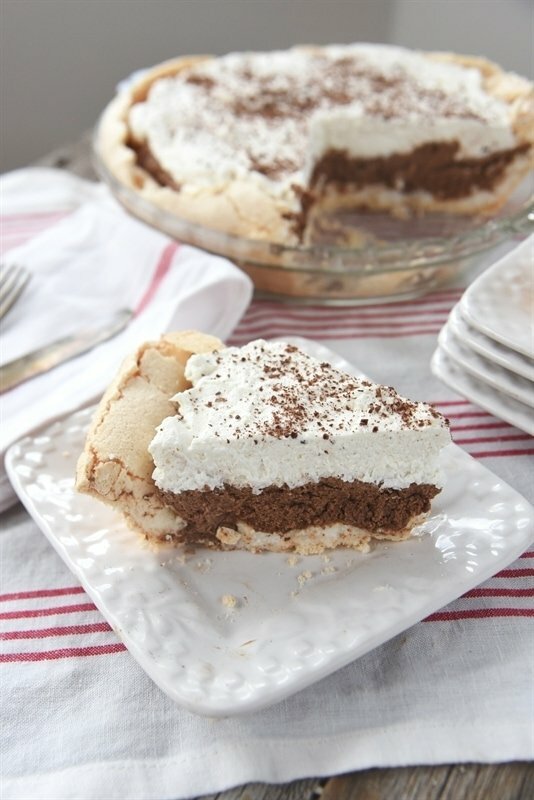 Chocolate Angel Pie is the perfect way to show the chocolate lovers in your life a little love. I’ve been on a bit of a lemon binge lately if you haven’t noticed and I decided it was time to give you chocolate lovers a little attention. I took my favorite dessert of all time, and I mean of all times, and made a chocolate version. The original recipe is Lemon Angel Pie and I’ve been making it for over thirty years. The lemon version is pretty much heaven on a plate but I have to admit this new chocolate version is a close second. I will always be a lemon lover first though, sorry! 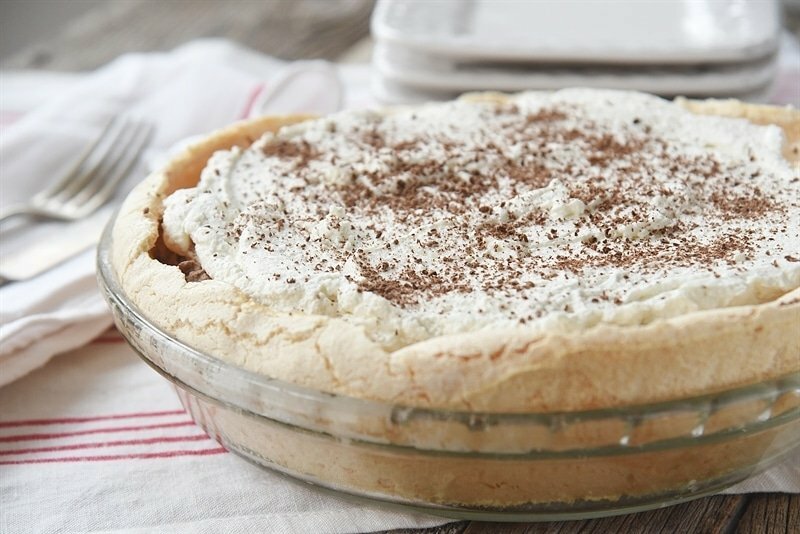 This pie starts with a meringue crust base. If you’ve never made a meringue crust before, don’t let that scare you off. 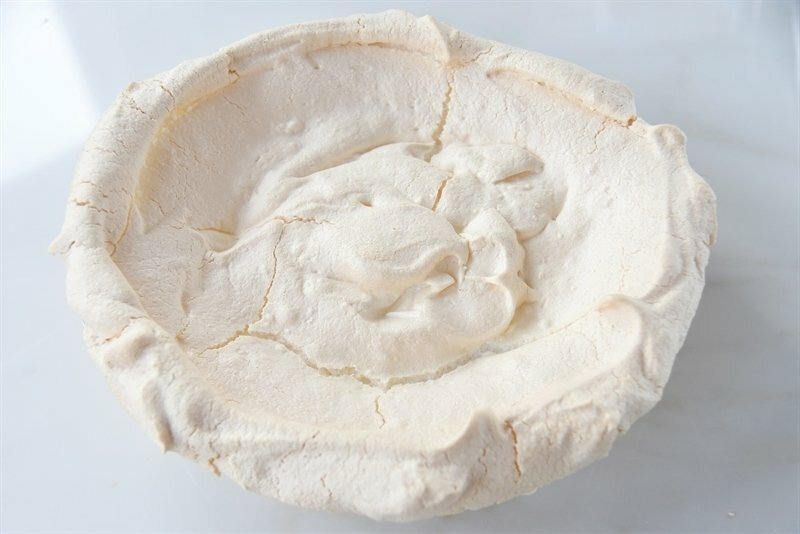 Down below I’ve shared some of my tips for making a meringue crust. So easy and it is pretty much fool proof. 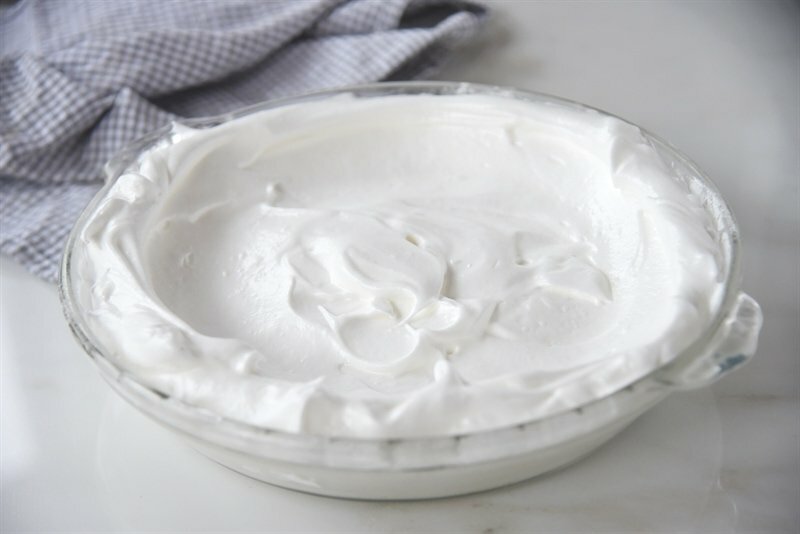 You whip together egg whites, sugar and cream of tarter and then spread it into a buttered pie dish. Spread it up onto the edges of the pie dish. When you pull it out of the oven it will be lightly golden and puffy. One of my favorite things to do is watch the crust as it begins to fall and crack. Be assured, this is what it is suppose to do. The crust is forming a nice crater to fill up with a delicious chocolate filling. The filling is a combination of chocolate, vanilla and cream. 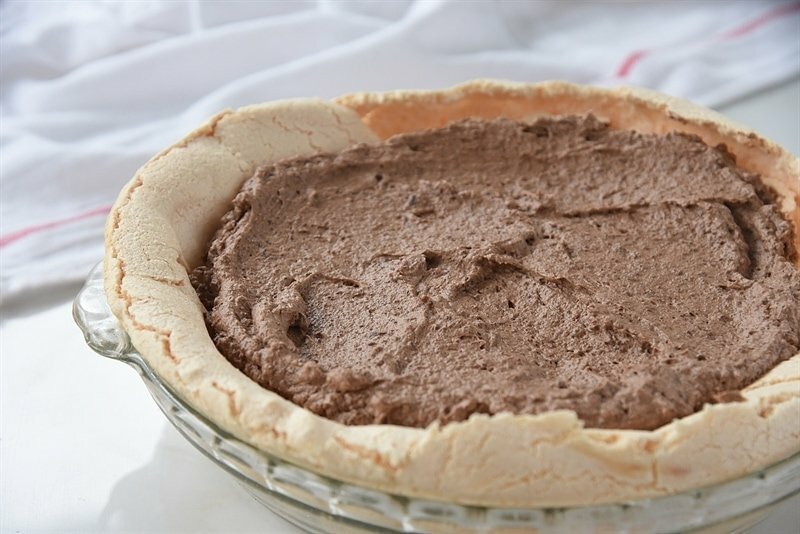 It is them combined with some whipped cream and poured into the meringue crust. The final layer is a nice thick layer of whipped cream. 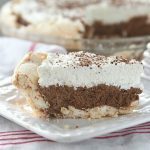 No need to sweeten the whipped cream because there is plenty of sweetness in the crust and the filling. I do like to give it a nice sprinkle of shaved chocolate though to make it a little prettier. 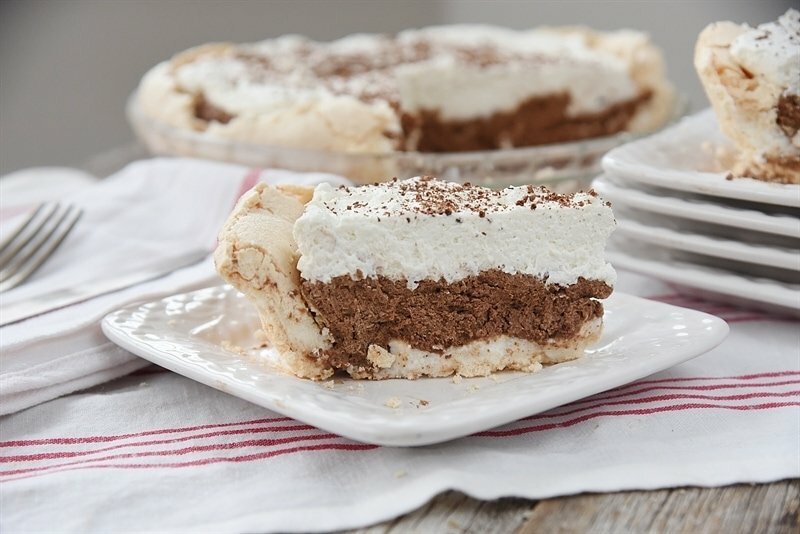 I like to make this dessert the night before to give it time to set up but a couple of hours in the fridge and you’ll be good to go if you can’t wait that long. Seriously, this stuff is like a taste of heaven. Soft, sweet and it pretty much melts in your mouth. Try this chocolate version but promise you’ll try the lemon version too. Then let me know your favorite! Grease your 9 ” glass pie dish and then give it a dusting of cornstarch to make it easier to remove your slice of pie from the dish. If your egg whites don’t set up, don’t worry, even if they are runny the crust will still work! Beat the egg whites first until they are fluffy and foamy and then gradually add your sugar in, a little at a time. Don’t sweeten the whipped cream on top, this pie has plenty of sweet. 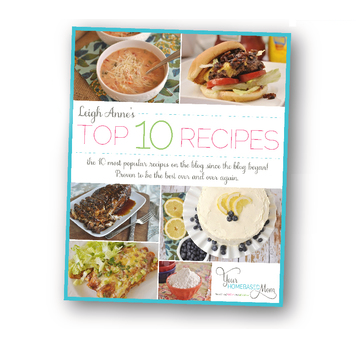 Looking for more delicious chocolate desserts? 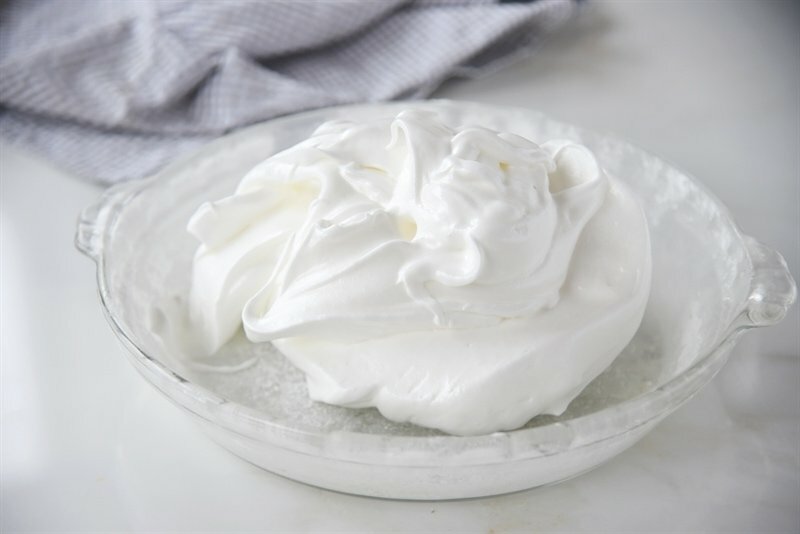 Beat egg whites until white and fluffy. Add in sugar gradually and cream of tartar. Bake meringue crust at 300 degrees for 45-60 minutes. Melt chocolate in a small heavy saucepan or microwave; stir until smooth. Whip cream and vanilla together, reserve half of it for the top of pie and fold the other half into the chocolate mixture. 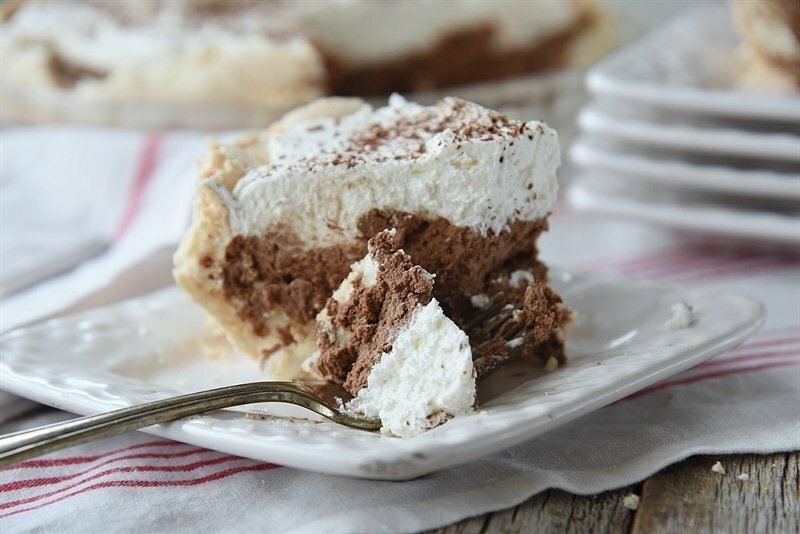 Pour chocolate into cooled meringue crust. Wow. I have never seen a meringue pie crust before and I looovvvee meringue. 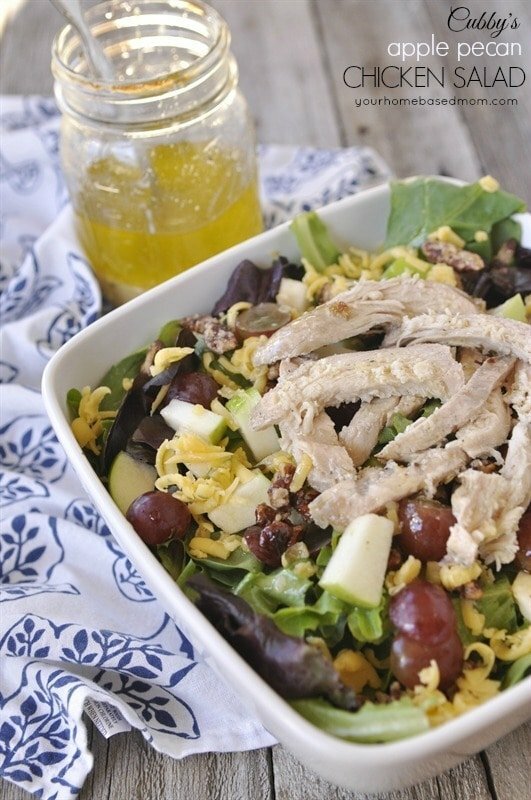 I’m with you on the lemon tops chocolate, but this looks so good it deserves to be made. 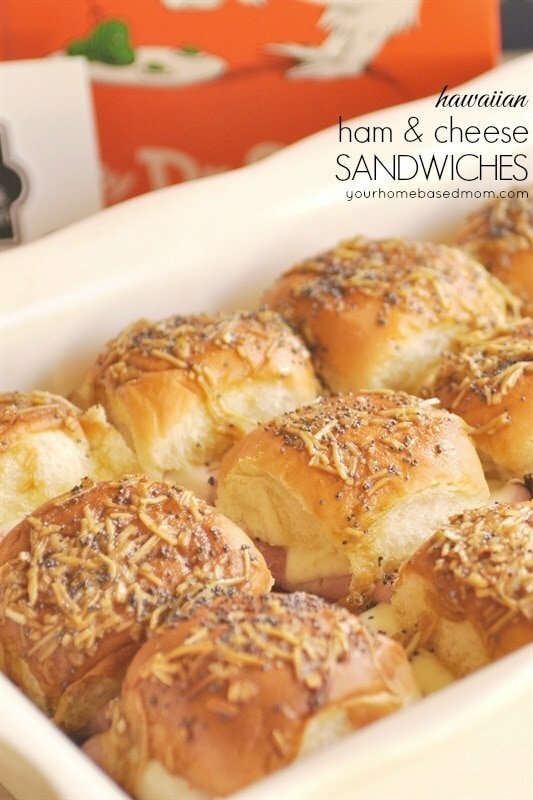 Thank you for sharing such a brilliant idea and delicious recipe. 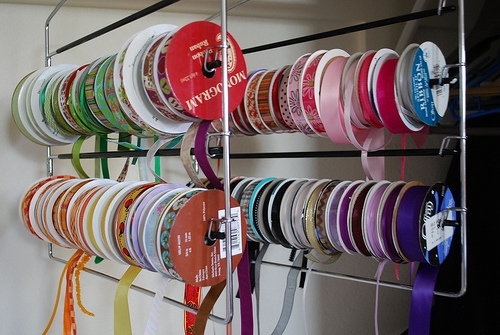 Sammie, I hope you’ll try it. 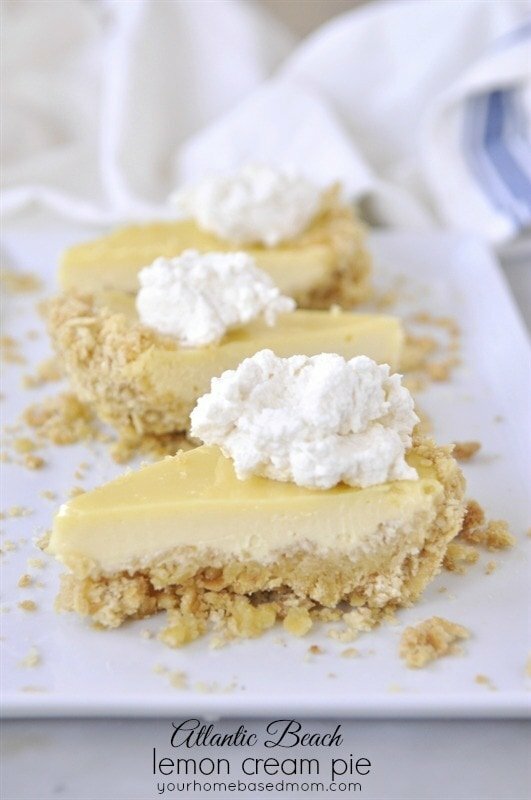 It’s pretty amazing and the meringue pie crust is melt in your mouth good! Every time I add the vanilla to the melted chocolate it seizes up??? What am I supposed to do?? Serene, I am so sorry about that. I just read over the recipe and it should have you adding the vanilla into the whipped cream, not the chocolate. My apologies!! I’ve fixed the recipe.